74.99 GBP Only 1 left In stock, ready to dispatch. 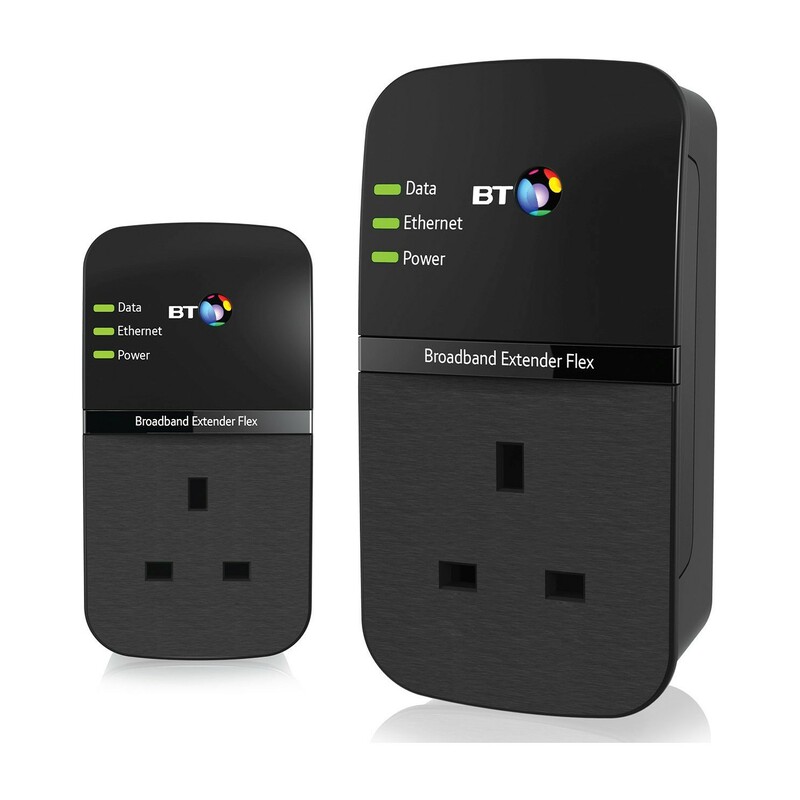 The BT Broadband Extender Flex 500 allows you to expand your wireless broadband network to any area of your home or office provided that both access points are located on the same electrical system. Expanding your network with the BT Broadband Extender Flex 500 couldn't be easier. It uses the electrical wiring in the building to carry the signal from your broadband router, making it possible to access the Internet with the convenience of a fast and reliable wired connection. It works with any broadband provider and requires absolutely no software installation. It also supports speeds of up to 500 Mbps for ultra-smooth streaming and faster downloads both from the Web and over your local network. Why Should You Buy this Broadband Extender? The BT Broadband Extender Flex 500 offers the perfect solution for those who are plagued by wireless signal dropouts.